An older, plump gentleman on a bike that was doing loops in the neighborhood and wheezing. Good for him for getting out there and exercising! I was a little concerned that on one of my loops I'd find him unconcious on the sidewalk, but that didn't happen. Another older man (not quite a gentleman) that blew his cigarette smoke right in my face as I ran past him. Grrrr. I shot him a bad juju mind glare in return...perhaps he tripped on the sidewalk later, who knows. A little, teeny tiny, yappy white dog that wasn't being controlled well by her owner and ran me into the street. Gah! Two teenagers fist fighting in the middle of the arterial by my house, as a bunch of other teenagers looked on. I kept running because, 1. I thought they were just rough-housing at first, 2. a neighbor came out into the street to see what was going on and 3. I didn't have my air horn/mace combo and I was clearly outnumbered. But I swear, the one throwing most of the punches was a scrawny "hipster" wannabe that I probably could've "took on." Ha! Yes, it was an interesting run for sure. The only bad thing is that I realized that any more miles than 7ish causes my foot to hurt so bad. :( It makes me wonder if I'm just not cut out for doing more than these 8 miles if I get home and I want to cry because of the pain. Stupid foot Neuromas. 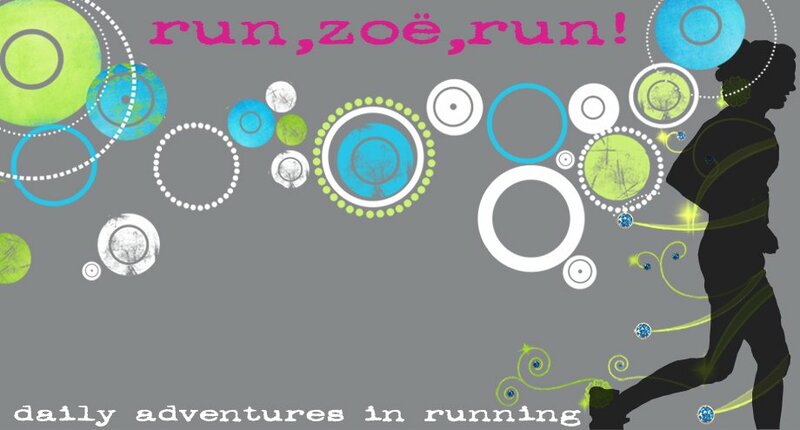 Hey Zoe good job on your 8 miles! That's incredible! I'm sorry to hear about your neuromas. I had some and got a shot of cortisone and I've been fine ever since. I need to catch up on my blogging - have you thought about this? oooh firemen. shoulda hopped on the truck! :) nice job on the 8 miler. i have been thirsty too lately, what's up with us? Hey Melanie--a cortisone shot....didn't really consider it, but now I definitely will. Thanks! Kerrie & Lindsay---Um, yeah, I think every girl should incorporate a bunch of firemen in their workout. Wicked awesome motivation! :) Yum.